When newspapers stop the publication of Bandhs/blockade news, there will be no more Bandhs/blockades. Please see times of india, hindu, tribune etc. You will not find news of Strikes/Bandhs in front page. It’s too much in Manipur. Media should play a proactive role in the development of Manipur but to no avail. Instead of ANSAM, UCM, DESAM, MSF etc, please run after policymakers, MLAs, Ministers. Manipur is hotbed of corruption but our media don’t have time to do sting operation. They don’t have time to interview Ministers, MLAs except some media briefing. If you don’t have any news other than bandh/blockade, please leave your pages blank. 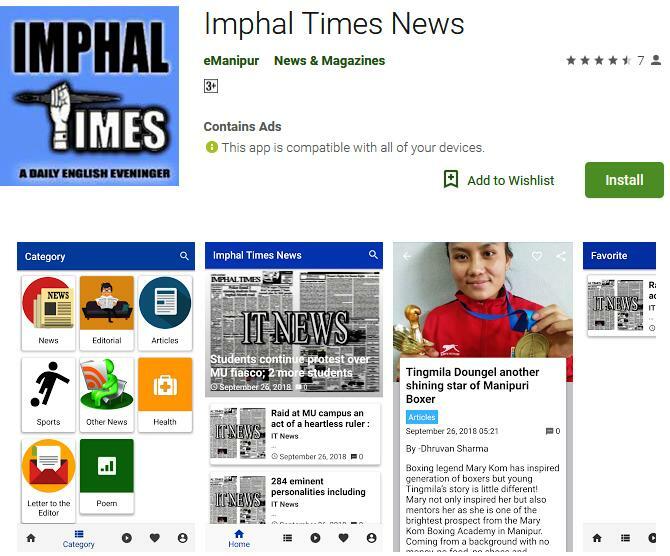 You all know that Manipur is are fed up of such daily useless news, then why do you publish it? Why don’t you change the taste? Why don’t you target the developmental projects? Why don’t you target the 60 MLAs? Why don’t you target the MU, JNIMS, RIMS? Why don’t you visit the remote hill villages and minimise the hill-valley gap? Why don’t you visit an Anganwadi and enquire its works ? Why don’t you take photos of the unauthorised checks made by MP, IRBs who mint money from bikers without any challan or receipt and publish it ? Why don’t you take a photograph of broken road and publish it alongwith the name of Works Minister ? ....Media of Manipur have educated public regarding Bandhs/Blockades. That’s why bandh after bandh and strike after strike. I know, my frustration is of no use because our mindset are used to old habits. But, please have a look into my request/suggestion. Please put up the matter with AMJWU. Please take public opinion. Let’s make Manipur a better place to live in. Let’s make Manipur a developed state. But without Bandhs and Blockades. - Editor’s reply : We do feel your anger to the frequent bandh and blockade called by various organisations in our state. But reporting such an event is also our duty as such reporting is also a measures to avoid any unwanted incidents that might occurred due to communication gap between the organisation members and the common people. While reporting about some organisation calling bandh or blockade we are not encouraging them but rather alerting the people and those in the government to provide full security for the people. Thanks for your concern about this decaying society.